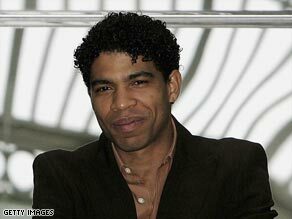 (CNN) -- Carlos Acosta is the ballet dancer who breaks all the rules. Perhaps the most famous dancer of his generation, his is a career that wasn't meant to be -- a tough kid from the backstreets of Havana who was forced to study ballet and became a reluctant star. Carlos Acosta: "Ballet was my best friend." His combination of talent, dedication and charisma have made him principal guest artist with the Paris Ballet, the Russian Ballet and the Royal Ballet in London. Acosta is that rarest of things -- a ballet dancer who has pirouetted into the public consciousness. But success has its price. His career has taken him away from his beloved Cuba and Acosta's story is one of displacement and a sense of longing for his family and homeland. "My heart is in Havana," he told CNN. "When I'm there I can get close to the life that I don't have anymore because of my career." Acosta was born in Havana, Cuba, in 1973. The youngest of 11 children, his early passions were football and breakdancing, but in a country with a proud ballet tradition, his lorry-driver father decided that the discipline of ballet school would keep young Carlos out of trouble, hoping that dance might one day provide his son with a way out of poverty. Aged nine, Acosta was enrolled in the National Ballet School of Cuba, and he hated it. He found the repetitive exercises boring and longed to play football with his friends instead. While Acosta was struggling to fit in, his father was jailed over a traffic accident and his mother suffered a stroke. Acosta played truant once too often. He was expelled and sent to a boarding school in Pinar del Rio, his first taste of life parted from his loved ones. It wasn't until he was 13 that Acosta saw his first real ballet. Watching the Cuban National Ballet perform he began to see the possibilities of the vocation that had been thrust upon him. He turned out to be a natural at it and began to apply himself to his dance classes. At the age of 16, he won a scholarship with the Turin Ballet, winning the Gold Medal at the Prix de Lausanne. "I found that ballet was my best friend. It was everything I had, the opportunity to become something else completely and to be fulfilled," he told CNN. "It took me a while to understand that and once I did, there was no turning back. I was determined to be the best I could." He went on to dance as principal with the English National Ballet from 1991 to 1992, the National Ballet of Cuba from 1992 to 1994, and was a principal with Houston Ballet between 1993 and 1998. In 1998 he made it into the ranks of London's Royal Ballet, advancing to principal guest artist in 2003, to become the Royal Ballet's first black principal. His rise to fame, which had taken him from the streets of Havana to the biggest stages in the world, was mirrored in his semi-autobiographical show "Tocororo," which Acosta created and choreographed. After it received a rapturous reception in London, he took "Tocororo" to Cuba in 2003, where he performed it in front of Fidel Castro. Acosta has described that triumphant homecoming as the highlight of his career. Never one to shirk from a challenge, he traveled to Moscow to perform the lead in "Spartacus" with the Bolshoi Ballet, a notoriously demanding and exhausting role. He often speaks of the need for ballet to take risks, to evolve and to speak a contemporary language -- ideals that Acosta embodies. Not just a virtuoso performer, it is Acosta's ability to connect with his audience that has made him an international star. Conversely, Acosta says his audience is what inspires him. "When I find people that express how much my art makes them feel, this is priceless," he told CNN. "You can't buy that with money, you can achieve that only with art -- you really touch people. Once you do that it lives on forever." But he sees himself as more than just a dancer. In 2007, his autobiography "No Way Home" was published to widespread acclaim. The book offered a glimpse of the sense of isolation he felt at living away from Havana. He once told an interviewer, "I had to leave Cuba to be the best I could be. I now have a very high status, but my family has never been able to share it with me." Acosta is at his peak as a performer, but a ballet dancer's career has a short span. He has said he does not want to be a choreographer once he retires, but he does have plans for the movies. There is talk of his autobiography being made into a film and Acosta has said he would like to play himself -- after all, who else could match his incredible leaps, fearless athleticism and effortless charm?